The second place in LaLiga guarantees that Atlético have a fixed position in the next Super Cup in Spain. El Atlético, once finished this new league day, has strengthened its second position in the table. Not only that, but the advantage over his immediate pursuer, Real Madrid, has increased by two points. Atlético has 65 points and the Madrid side, 61, so that los Cholo take a considerable advantage to Zidane. Four points with six games to play for Atlético to stay ahead of his rival from the capital and finish second in LaLiga. The rojiblanco team has to visit the fiefs of Eibar, Espanyol and Levante, in the last league match, while receiving in house to Valencia, Valladolid and Seville. Cholo's team, provided the Real won all their games, could afford a trip, although in the mind of the rojiblanca team is adding those 18 points that are now in play. The option of the title was discarded after Atlético lost in the Camp Nou. The second place guarantees that Atlético have a fixed position in the next Supercopa de España, which will premiere format and in which the first two classified will have a place in the league tournament plus two teams that will go through the Cup. 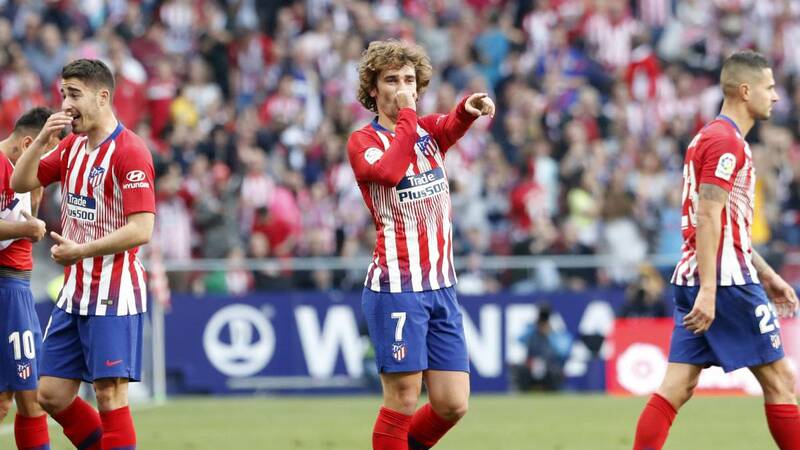 For the Atletico's locker room the Spanish Super Cup is not one of the main objectives of the season, but if it comes to contest it, it may be a title that adds more to the Club history. El Cholo already said after finishing the match against Celta que the most important thing is that the team has gone back up after the elimination of Champions against Juventus, a stick for players, coaches, leaders and fans. Atletico, after spending a very complicated week, returned to compete and Simeone has praised the fact that the team has returned that competitive character that has always characterized him.